The Director of Diverse Marine, says that “starting afresh and leaving the past behind has been invigorating for everyone involved”. The former business managers of South Boats IOW have completed the purchase of the assets and equipment of the company for an undisclosed sum. All of the South Boats IOW plant, equipment and employees have now transferred to their new company, Diverse Marine Ltd. Headed by Ben Colman and Matt Floyd, Diverse Marine will continue to offer commercial vessel repair and refit, supporting previous, existing and new clients with any requirements. “We are delighted to announce the completion of the purchase and formation of Diverse Marine – we are overwhelmed by the support from clients, suppliers and the wider marine industry as we take the company into the future. This is enormously positive news for all the families of staff involved and for the island’s marine industry. Diverse Marine will continue to be based at Medina Yard, with a lease in place for the next three years and a commitment to secure the future of the business for the long term. 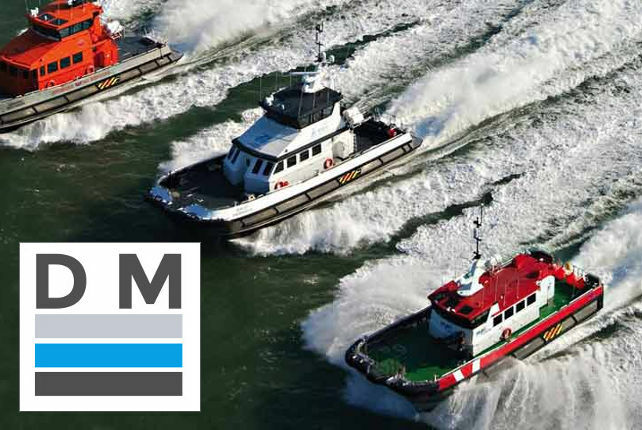 A new portfolio of commercial vessel designs is being developed in conjunction with multiple third party Naval Architects, including RIBs, fishing boats, work boats and, looking to the future, wind farm crew transfer vessels, to create a diverse range of craft for any application. The company will be led by the industry and ensure designs are available to meet any requirement. Combining proven experience with strong technical, design and manufacturing capabilities, Diverse Marine looks forward to sharing further news as it develops. 1 Comment on "Jobs at South Boats saved by Diverse Marine"
I wonder how the three-year lease fits with Harrison’s plans? All power to Messrs Colman and Floyd, but they really need to make their Companies House profile look a lot beefier.